• Cutscene after the completion of the quest Questions and Answers should trigger properly. • Rattay armorer should no longer get stuck in an infinite sleep behaviour. • Perfect block no longer spins player or NPCs. • Player with an equipped bow can be dismounted. • Player can no longer lock on a non-existing opponent. • [Rare] Attacking stops working. 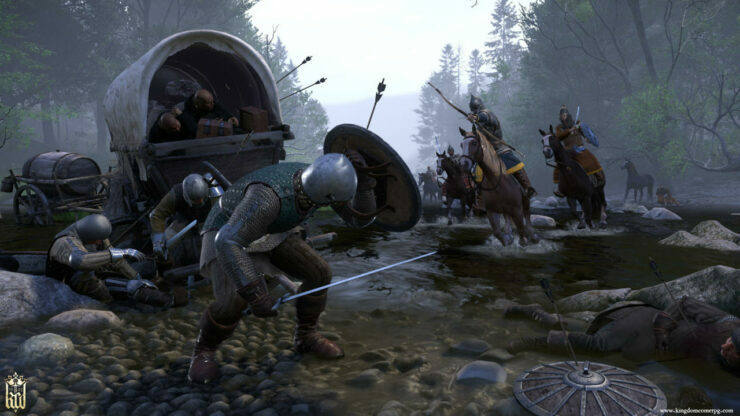 [Original story] Kingdom Come Deliverance update 1.4.3 will be released today at 15:00 CET for PC and consoles, developer Warhorse Studios has confirmed. The update was first scheduled for a release last week, but was delayed due to the console certification process being restarted as bugs were found. The PS4 and Xbox One patches will include all recent patches from 1.4 and upwards. Kingdom Come Deliverance is available now for PC, PlayStation 4 and Xbox One.